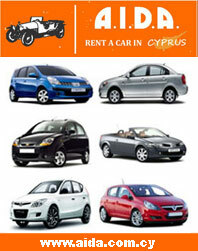 Phelena Rent a Car is a family own and run company with much experience in the market of Car Rental. Our priority at Phelena Rent a Car is to give the best service at the lowest possible price. How can this happen, you may ask. The answer is simple we minimize our expenses to benefit you. As a family ownΒ company, we give the most attention to our clients. We provide them with quality cars at reasonable prices.